Losing everything to fire turns life upside down. 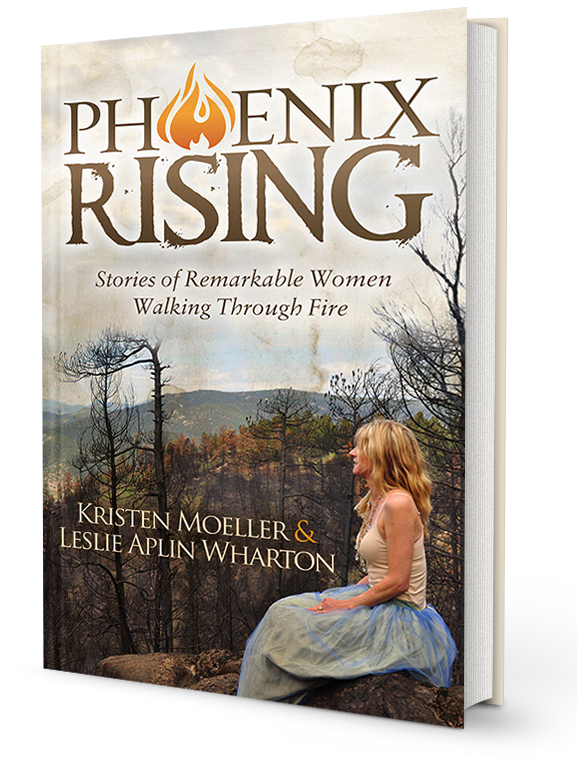 Co-authors, Kristen Moeller and Leslie Wharton lost their homes in two separate Colorado wildfires. Meeting by chance, they shared a common thread – both writers turned to the page after the fires – and inspired by the difference this made for them, wanted other women to benefit as well. 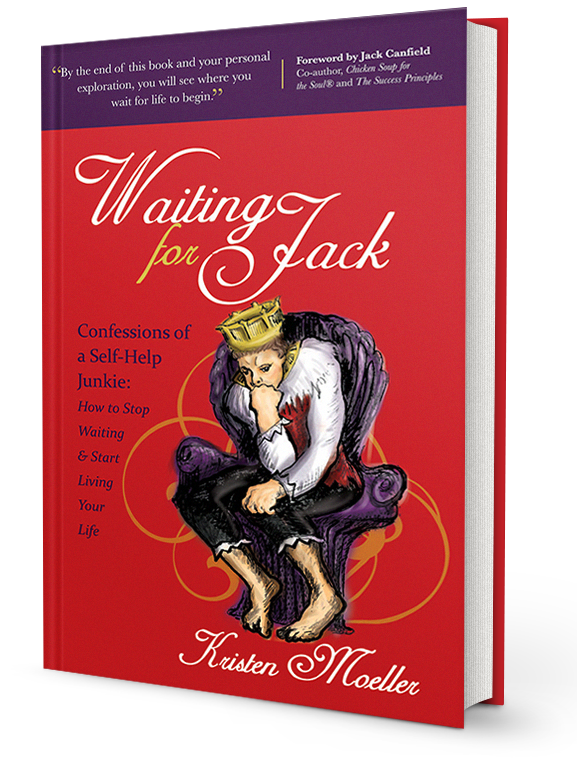 By gathering a collection of heart-wrenching yet inspiring, funny yet devastating tales, the authors hope to inspire others to know they too can walk through their own personal fires in life. “Where does patience end and procrastination begin? 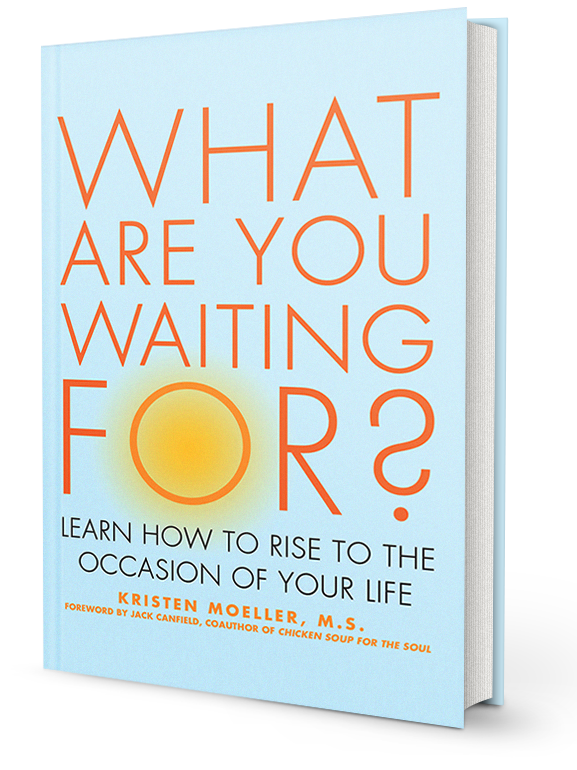 Kristen Moeller bares her soul to help us understand the answer. She wants readers to start participating in their lives instead of watching them like a movie. AA calls it showing up. Moeller calls it remembering who we really are. She takes us on a journey through the hidden places within us where we give up before we try and value the outside view more than our own inner knowing. She has written a little book full of big lessons. And if you find yourself STILL waiting, perhaps it’s time to go back to basics. Do you find yourself waiting for the right moment? The ideal relationship? The perfect job? Are you waiting for your “real” life to begin? Do think that the gifts of life are right around the corner? That one day you will arrive and everything will be okay? Do you endlessly search, yet never seem to find?